You may have heard of Jimmy’s farm because it was the subject of several documentary series – also called Jimmy’s Farm – airing from 2002 until 2007. Jimmy Doherty is a childhood friend of Jamie Oliver’s and the TV programme documented the struggles of starting the new business, learning how to farm and set up his rare breeds piggery and the ups and downs of the relationships, both personal and professional, while the farm was being established. 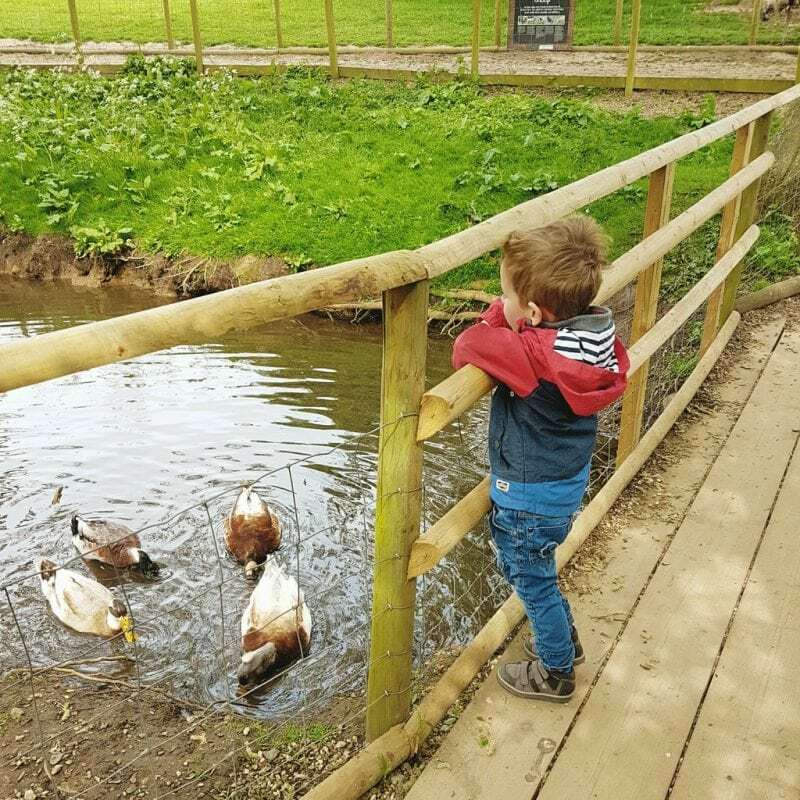 The Farm Park is now open all year round and has various attractions that make it a good family day out – not least of all the farm shop; I can personally vouch for the selection of sausages, scotch eggs and sausage rolls on offer without hesitation – but more of that later! 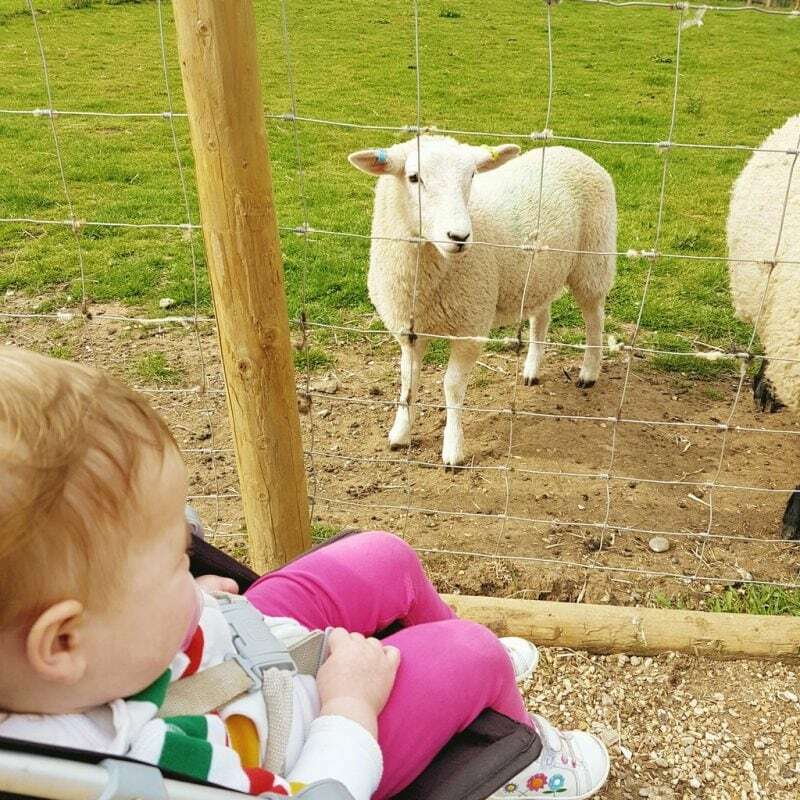 The main animal attractions are set out in a relatively small area, immediately as you enter the farm. There are pigs and piglets (obviously! ), as well as goats, sheep, alpacas, peacocks, turkeys and a good selection of ducks roaming about the place. You can purchase animal feed as you enter and it serves as fodder for all the animals in this section. 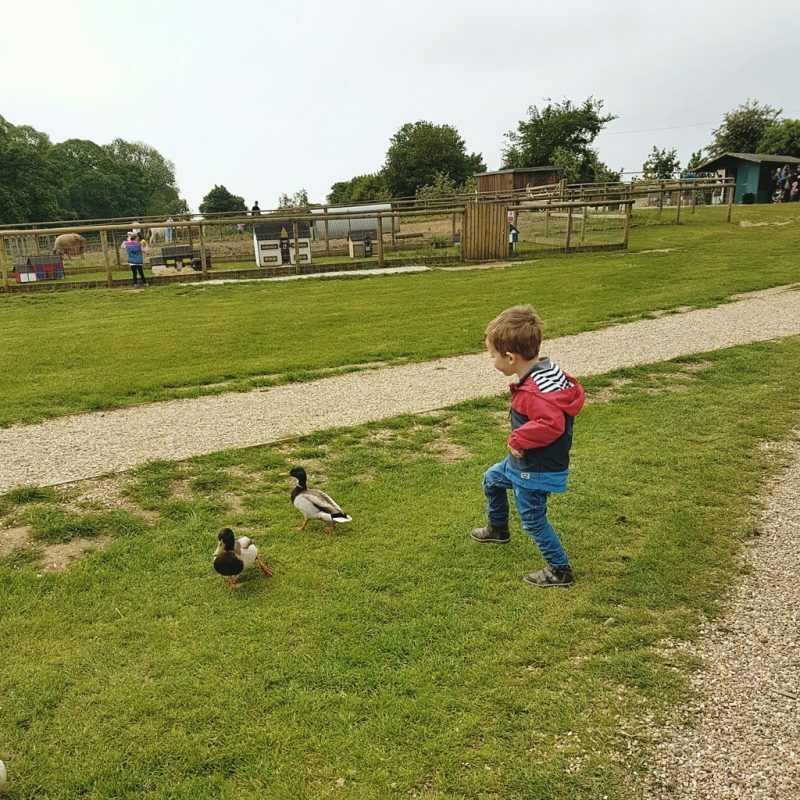 Littlest was absolutely enthralled by all the animals – especially the piglets – but Biggest was most excited by the prospect of chasing the loose ducks around the petting area. The poor ducks lost patience with that quite quickly and flew off, much to Biggest’s dismay. Within the main area to see animals there was also several other attractions. 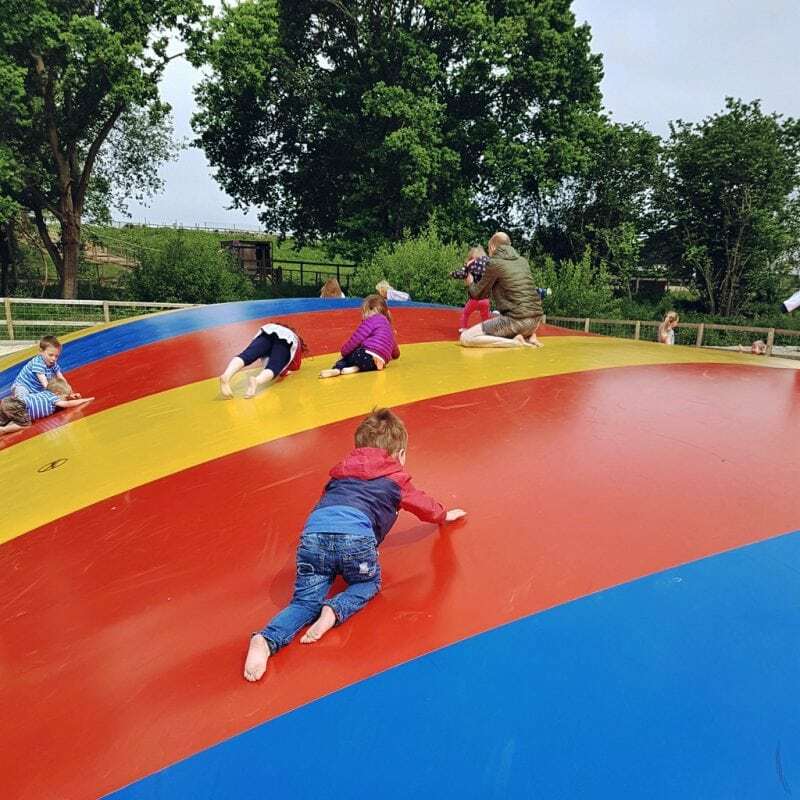 There were covered picnic tables with activities laid out, a play park, and the enormous ‘jumping pillow’. If you’ve no idea what a jumping pillow is, see the pictures below. 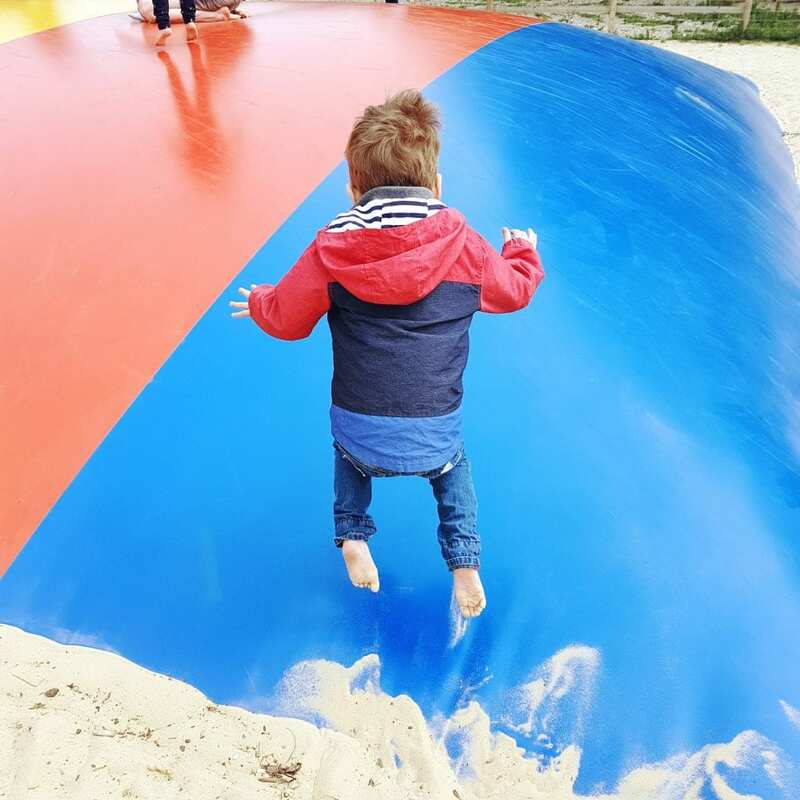 I was so proud of biggest crawling up to have a go. It soon became too crowded for him and he struggles a great deal with unexpected movement and so he only spent a few minutes on it. The other children (and some adults) found it the best of fun though. There is also a huge stack of hay bales for climbing on. I was surprised that more children weren’t interested in climbing them; Littlest headed straight for them and insisted on clambering over them on her own. On the periphery of the farm there are a few more activities. 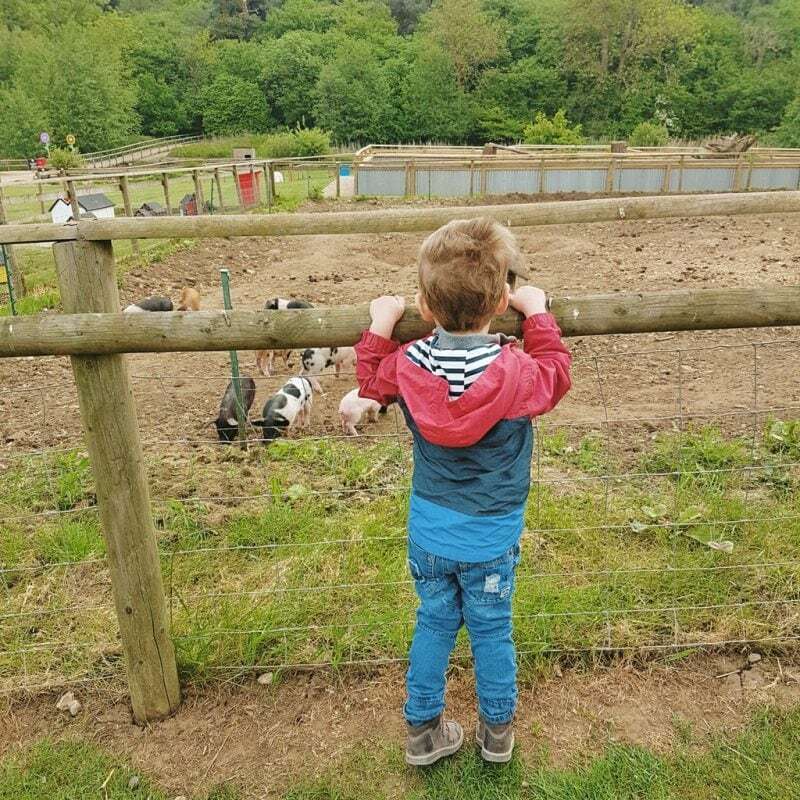 These include another adventure playground, several walks and nature trails and the ‘Sky Walk’ which takes you round the main pig enclosures where the actual farming takes place. Back near the entrance there are several gift shops, the farm shop and restaurant. There are also areas to sit surrounded by pleasant gardens. 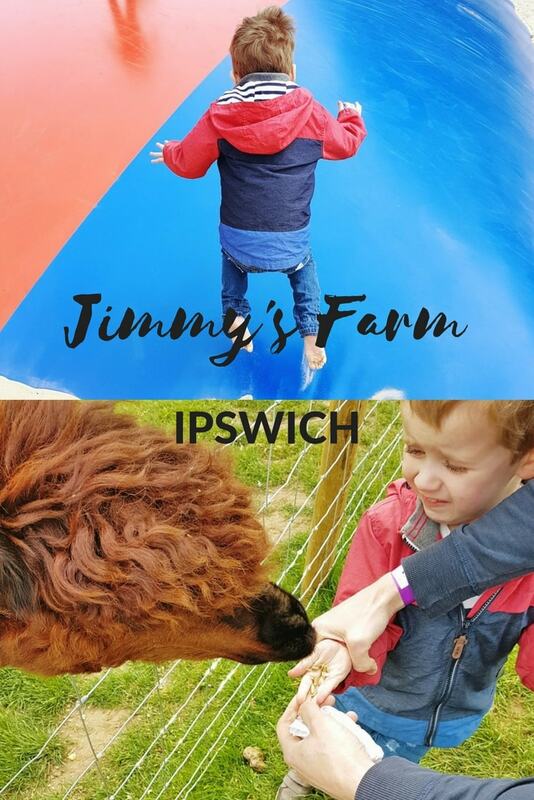 Jimmy’s farm is very reasonably priced at £5.50 for adults and £4.50 for children over two years, or £18 for a family pass for two adults and two children. 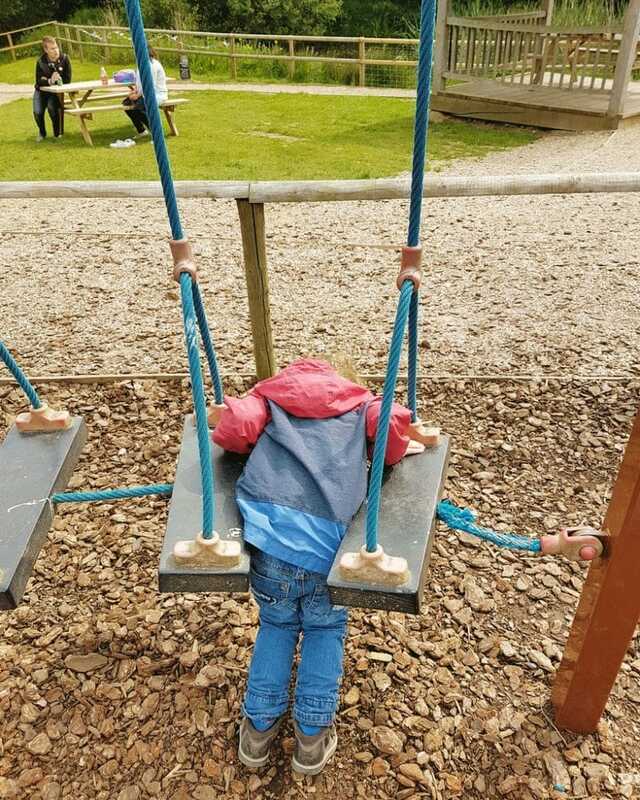 However, I don’t think there was quite enough to entertain my two for a full day as the animal enclosure section was relatively small. Having said that, it is a perfect afternoon or morning activity and, as it is priced quite a bit lower than similar attractions, I still think that it is a very worthwhile visit. 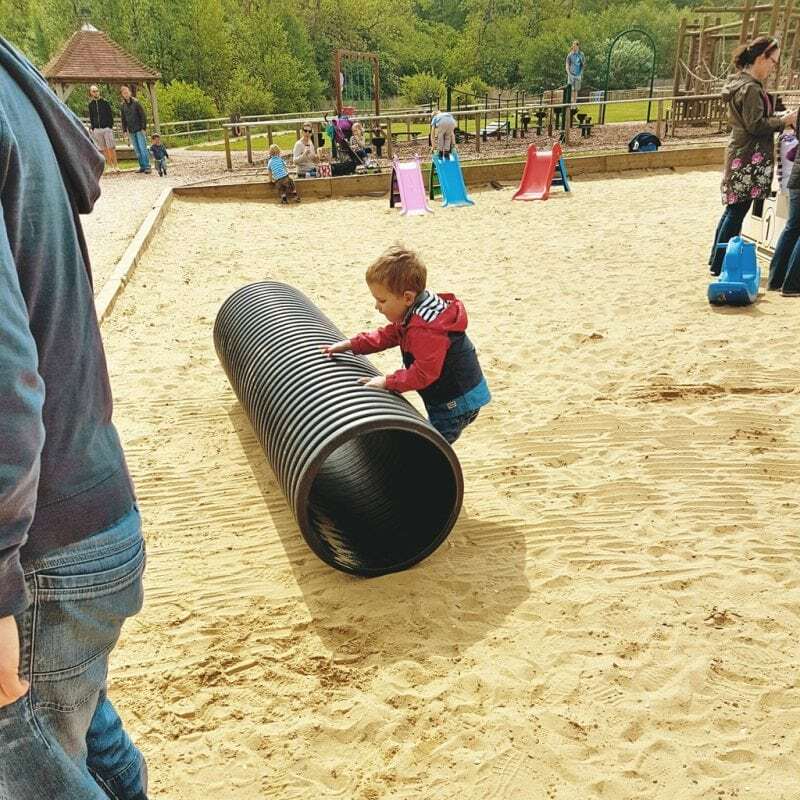 Also, families with slightly older children would be able to make use of the nature trails and things like den-building activities in order to make a whole day of it. There are also activities that only run at certain times of the year like fishing in some of the ponds. There is also a Butterfly House that was closed for renovation during our visit. My two are still a little small for some of those activities at the moment. The other element which means I would still recommend it is the quality of the farm shop and restaurant. We didn’t eat in the restaurant this time but we purchased lots of products to take home from the shop and they were really delicious. The meals in the restaurant use the same produce and they looked amazing. 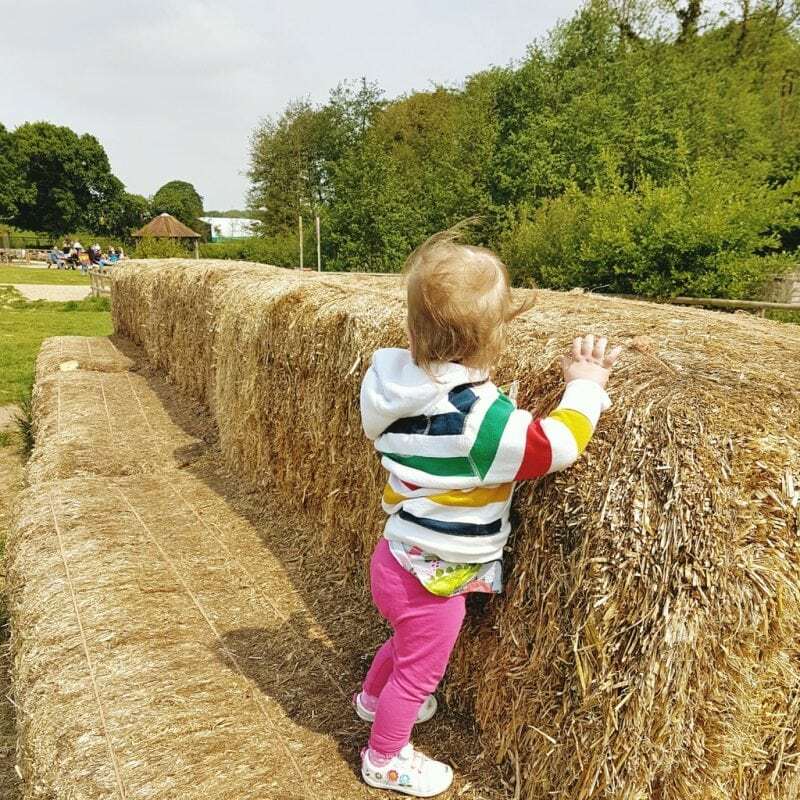 The farm shop was like a treasure trove – it was almost impossible to narrow down the things we wanted to buy. We settled on some sausages, scotch eggs, freshly baked rolls, sausage rolls and ginger biscuits for the children. 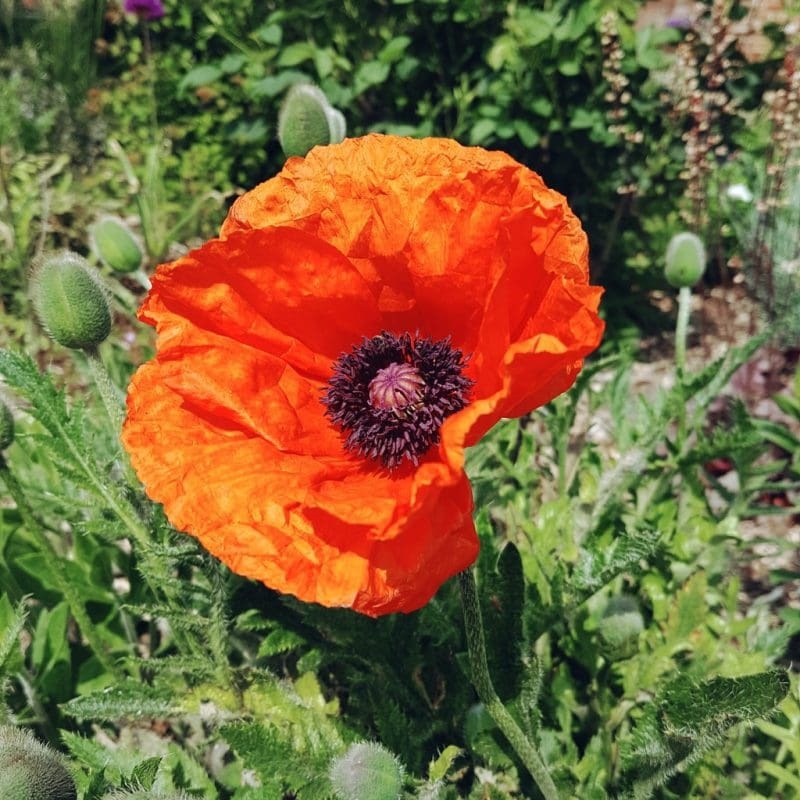 The shop was on the expensive side – as these kinds of high-end gourmet farm shop often are – but everything we bought was lovely. Overall, I think Jimmy’s Farm is well worth a visit. 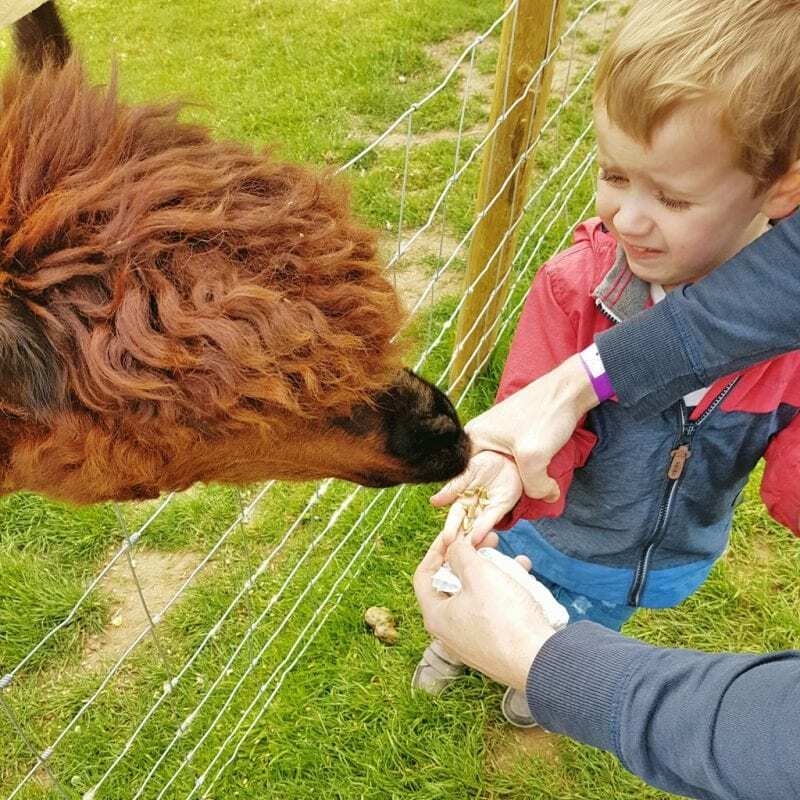 The children will love the animals, activities and play parks and the adults (especially foodies!) will love the farm shop and restaurant.